It’s the start of Wimbledon fortnight and I thought I would make a treat based on that favourite indulgence of tennis spectators – strawberries and cream. 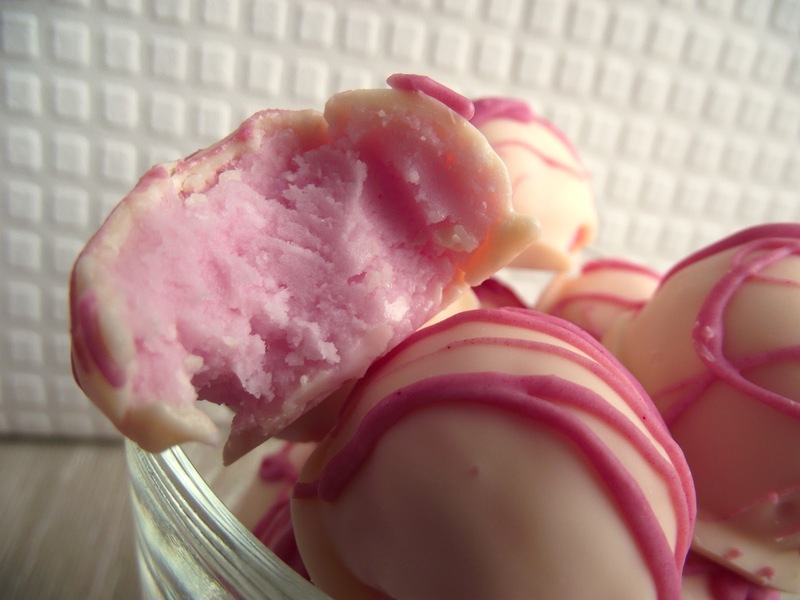 These Strawberry and Cream Truffles are very easy to make, very sweet and easy on the eye, so would look good on any Wimbledon party table. They are made using butter, cream cheese and icing sugar – very simple. 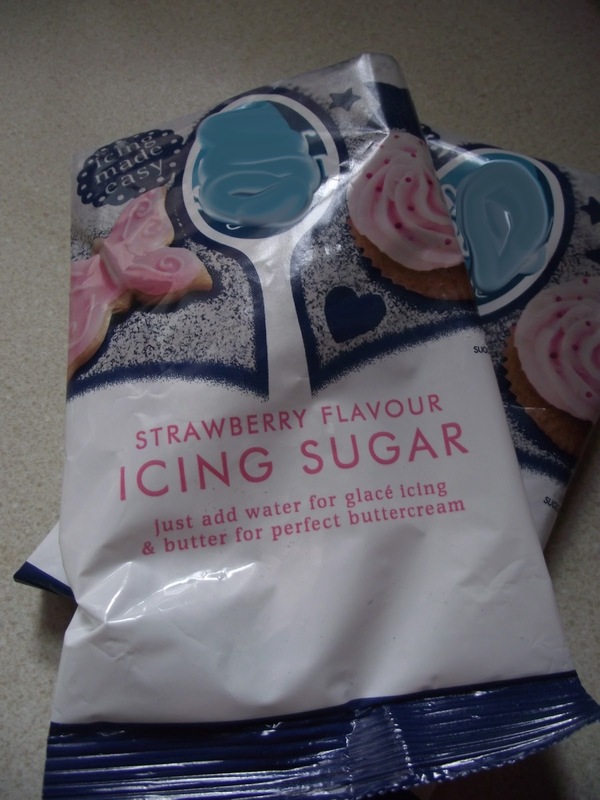 I used strawberry flavoured icing sugar, which is easy to come by in the baking section now. 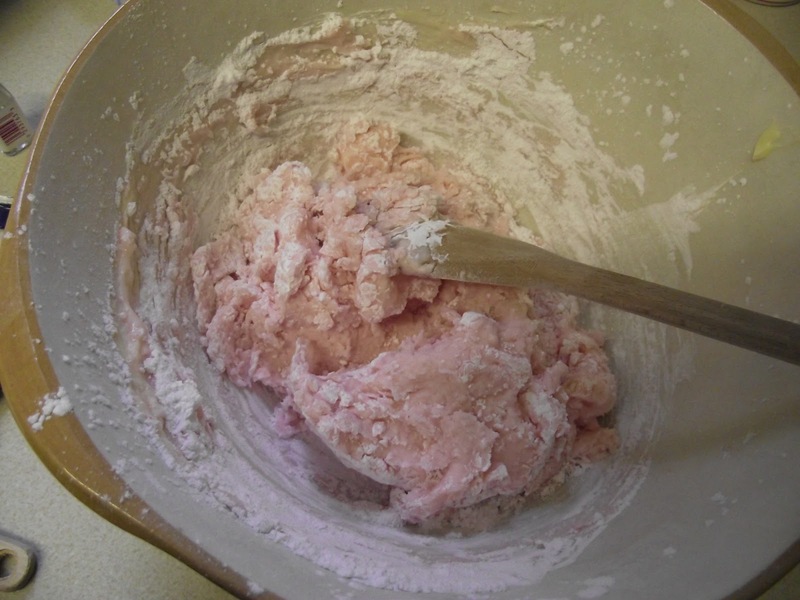 But if you can’t find it, you could always add a teaspoon of strawberry flavouring to the mix and a dash of pink food colouring, to get the same effect. In a large bowl, mix together the cream cheese and butter until very soft and totally combined. 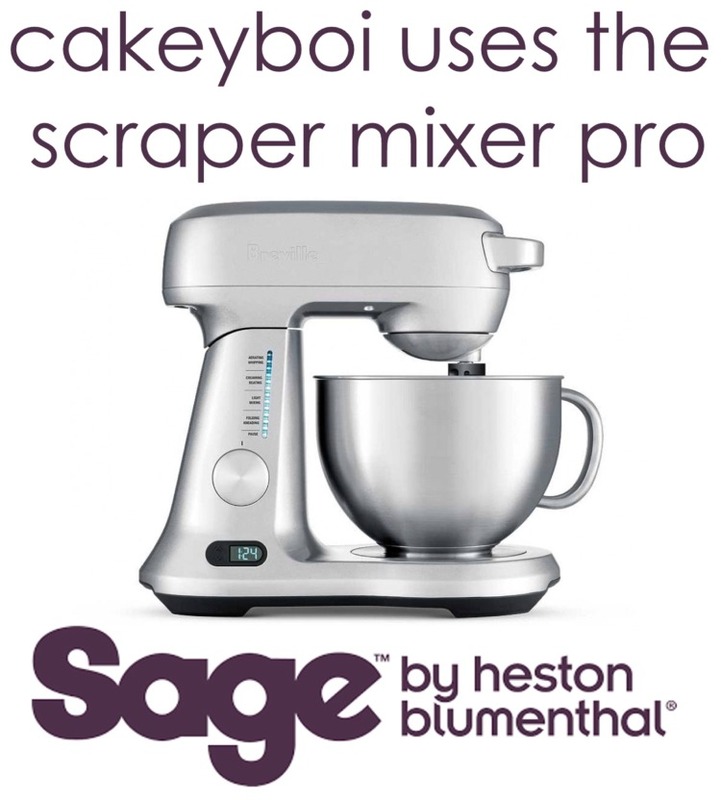 Next slowly add the icing sugar, in gradual amounts mixing together until a dough type consistency has formed. Pop this into the fridge to chill for an hour. After the hour take small 1” balls of the dough and roll these between your hands. It is best to dust your hands with icing sugar, as the truffles tend to stick less. 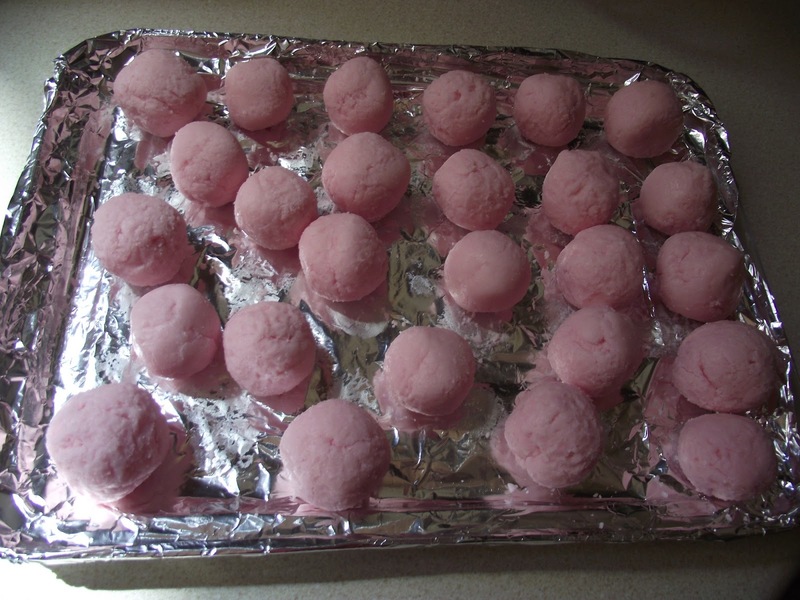 Place these rolled balls onto a cookie sheet lined with greaseproof paper. When you have formed all the truffles, place in the fridge again to chill for 1-2 hours. Melt the white chocolate in a bowl, over a pan of simmering water, making sure the bottom of the pan doesn’t come into contact with the water. When melted, roll each of the chilled truffles in it, coating completely and draining any excess chocolate. Place back on the greaseproof paper and allow to harden in the fridge again 1-2 hours. 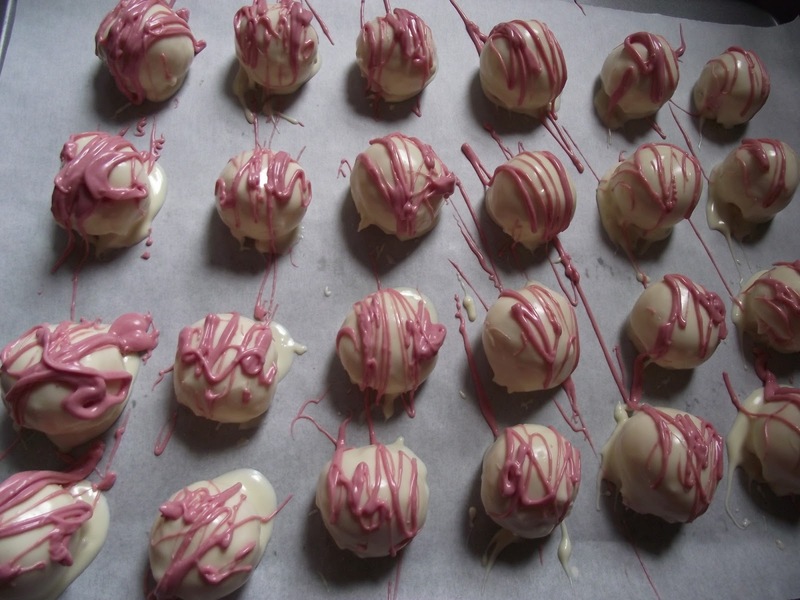 With the remaining white chocolate, add pink food colouring, and drizzle this over the hardened truffles. Allow the drizzle to set, so back in the fridge for about half an hour. 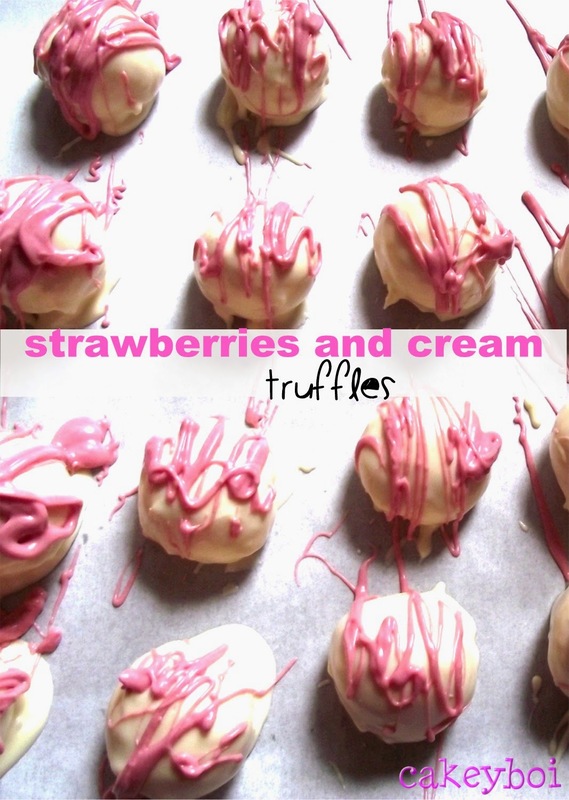 There you have Strawberries and Cream Truffles. They are best kept in the fridge until you are ready to eat them as they do get quite soft when warm. 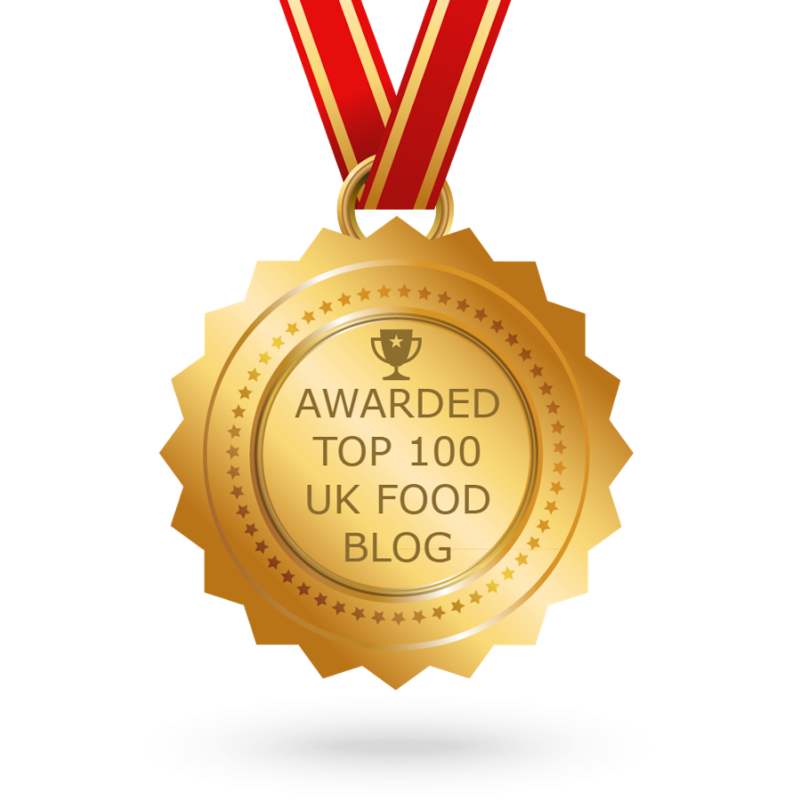 But once out of the fridge they won’t be around long! Enjoy…. Perfect little bites of loveliness. I'm just hoping that I can eat them without having to watch any tennis. Certainly for the sweet of tooth Kellie! 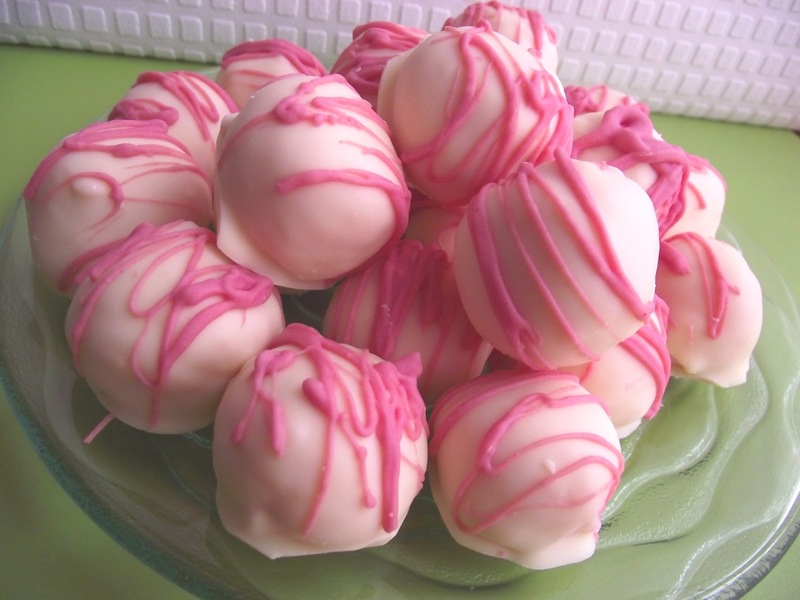 These truffles look delicious. Thank you for sharing the recipe with us.